The Newbury Volunteer Fire Department is an all volunteer fire department protecting 25 square miles with approximately 6,000 residents. Newbury Township is mostly a rural area with commercial, industrial, and professional businesses. 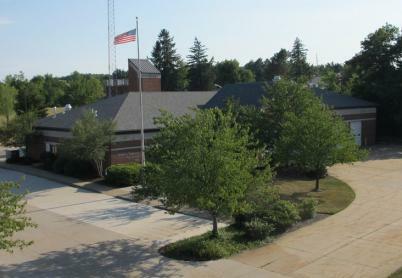 The fire station is located on the south side of St. Route 87 just east of Auburn Road. With an 11,700 square foot building, we house 2 advanced life support rescue squads, a pumper/rescue, pumper/tanker, 75' aerial ladder, pickup truck utility vehicle, grass truck, 6x6 Polaris Ranger, and a rescue boat. The building also has offices, a kitchen meeting/training room, locker/gear room, and a dispatch/radio room. We currently have 19 members who have responded to 167 calls so far this year, and 638 calls in 2018. We provide fire and EMS services to our community. Our members participate in the county wide dive/rescue/recovery team, and the multi-county tanker shuttle program. "The best measure of a man's honesty isn't his income tax return. It's the zero adjust on his bathroom scale"
Sign up for Geauga Alerts! In the event of an emergency or severe weather condition, a text message alert will be sent to the phone number provided. To reach the registration page go to the Sheriff's Office page and select “Geauga Public Alerts”. They are FREE, there is no cost. We are always being asked if the Newbury Volunteer Fire Department installs or inspects child car seats. We do not, but for a list of certified car seat inspection and installation locations, click here.